With a trajectory of nearly sixty years, Roberto Carlos is getting the recognition he deserves from the Latin Recording Academy. The four-time Latin GRAMMY winner and GRAMMY winner has been selected at the 2015 "Person of the Year" by the academy. The Brazilian singer and composer will be honored for his important artistic and social contributions to Latin music and culture. "To speak of Brazil is to speak of Roberto Carlos," said Gabriel Abaroa Jr., President/CEO of The Latin Recording Academy®. "His immense talent, passion and dedication to his art has made him one of the greatest voices and songwriters in Latin music. It is with great pride that we honor such a musical treasure and we look forward to celebrating his career and his indelible musical legacy." The 74-year-old international superstar has bee crooning women and men since the age of nine. He's amassed 500 accredited songs as a composer and is the only Brazilian singer to sell more records than the Beatles or Elvis Presley with over 120 million albums sold in Latin America. 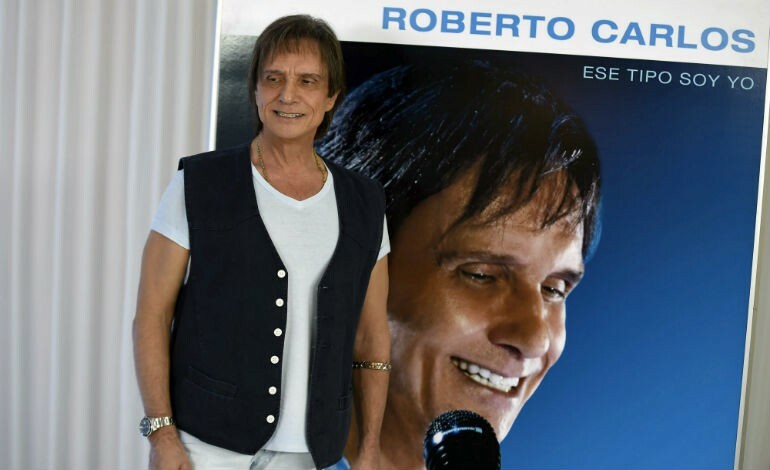 Roberto Carlos is the romantic crooner of the '70s and '80s, known for his chart-topping hits as "Detalles," "Emociones," "Amada Amante," "Amigo," "Propuesta," "Lady Laura," and "Mujer Pequena." He will be honored at a star-studded tribute concert on Wednesday, Nov. 18 at the South Pacific Ballroom of the Mandalay Bay Convention Center in Las Vegas. He's also joining past recipients such as Miguel Bosé, Plácido Domingo, Gloria Estefan, Vicente Fernández, Juan Luis Guerra, Carlos Santana, Joan Manuel Serrat, Shakira, and Caetano Veloso, among others. Joan Manuel Serrat Is Latin Grammy's Person Of The Year!